Banana Republic is a retail clothing chain that got its start selling safari themed clothes in Mill Valley, California. The business now features modern apparel and accessories for men and women, and has locations around the world. See their website, at the bottom, to find a link for a Banana Republic application. Mel and Patricia Ziegler founded the company in 1978. They sold safari clothing and other unique clothing that they found while traveling. The company’s catalog was written like a travelogue with stories and hand-drawn pictures of the items for sale throughout. Gap, Inc. bought the business from the Zieglers in 1983. The company is now headquartered in San Francisco, California. It is a division of Gap, Inc. The business employs more than 10,000 people and has more than 700 stores in North America, South America, Europe, the Middle East, Africa, and Asia. The United States is home to over 500 of the specialty retail stores. The company gives back to its communities through an outreach program it created called One+All. Employees volunteer to do things like help people fill out resumes, run soup kitchens, and rebuild homes after hurricanes. The retailer promotes this volunteerism by its employees by encouraging participation and helping employees to find time in their schedules for volunteering. The retailer is offering numerous corporate level careers across departments such as Administration, Architecture and Construction, Finance, General Management, Human Resources, Legal, Marketing, Product Design, Production, Real Estate, Store Design, Technical Design, Technology, and more. You can find local job opportunities, upload a resume, and apply for jobs at Banana Republic at their website below. The company is hiring for hundreds of in-store positions across the U.S. in its stores and factory outlets. Some of these openings include Store Associate, Stock Supervisor – Factory Stores, Stock Associate – Factory Stores, Seasonal Store Associate, Flex Associate – Factory Store, Cashier Lead, Customer Experience Lead, Merchandise Presentation Lead, and others. How old do you have to be to work at Banana Republic? You must be 16 to work at Banana Republic, but most positions require a high school diploma or its equivalent. Make sure to check the requirements of any position that interests you while you are browsing their website to apply online. The retailer and its parent company, Gap, Inc., mentor employees and offer opportunities to grow within the business nationally and abroad. They provide a competitive benefits package to employees as well. Store hours vary by location. Typical hours of operation are Monday through Saturday, 10:00 AM to 8:00 PM, Sunday 12:00 PM to 6:00 PM, or Monday through Saturday 10:00 AM to 9:00 PM, Sunday 11:00 AM to 7:00 PM. Store Associate – The Store Associate is the first employee customers see in the stores. Store Associates assist customers, keep the retail area tidy, and sell product. Store Associates cooperate with other employees to give customers the best experience. Retail experience is preferred but not necessary for this job. This title starts at or just above minimum wage, which is normal for this industry. Cashier Lead – As a Cashier Lead, you would ring up sales accurately while providing excellent customer service. You would reconcile the money at the end of the day, supervise other cashiers, and step in to assist customers when there are problems. You would need to be a high school graduate and be available during any store hours for this position. Merchandise Presentation Lead – The Merchandise Presentation Lead promotes sales in the stores through marketing and promotions, and also through strategic merchandise displays on the sales floor. Encouraging employee participation in the One+All program is part of the job description for this position. Qualifications are to be a high school graduate and to be creative. An average salary for this job is $15.00 per hour, and up. Stock Associate – As with all the other positions, the Stock Associate’s first responsibility is customer service. The Stock Associate may work during store hours, or while the business is closed, keeping the merchandise stocked and helping customers and employees find items. This position requires the strength to lift boxes and the ability to climb ladders while working. Pay starts around $9.00 per hour. Do you consider yourself to be a creative person? This company has many jobs available for those who would like a creative career. Tell your interviewer if you are interested in that sort of work. Bring photos, if they will help you explain. You can get a free application for Banana Republic jobs at the website. What kinds of volunteering in the community have you done? The company’s One+All program exemplifies their volunteering spirit. They are seeking 100% participation from their staff. Telling your interviewer about your own community involvement will help you to stand out from other job candidates. Go to their website to for a Banana Republic Application. Do you have previous experience in retail? Most entry-level positions don’t require prior experience, but it will make you more desirable if you have it. Bring your references with you. If you would like to know how to apply for Banana Republic online, go to their website, browse postings, and fill out applications while you are there. Why did you leave your last job? This question can be sticky. No matter what the reason was, it is important that you come across as positive and able to work with others. Keep that in mind as you answer this question. You can view Banana Republic jobs, read employment responsibilities, and get a direct application at their website. Who are your favorite designers? This is a store that sells designer clothing, after all. Feel free to show your interest in clothing and designers. It will help you to establish to your interviewer that you are where you belong. Download application form for Banana Republic careers at the website, under the application links below. This retail chain promotes community volunteerism and environmental protection. Be prepared to talk about recycling, environmental sustainability, and ways to reduce waste. The retailer has made a number of changes in its packaging and business practices to protect the environment. Fill out a printable application form at the website at the bottom. Ask your interviewer about the One+All program. It will show your interest in the company as well as in community involvement. Think ahead of time about the ways you might want to participate. Browse hundreds of job openings and fill out an application form for Banana Republic jobs online while you are there. Wearing clothing from the business to your interview, or similar attire, is a good idea. Employees in clothiers generally do wear the types of clothing they sell. It helps to promote the brand. Show that you understand what they are looking for by how you dress for your interview. 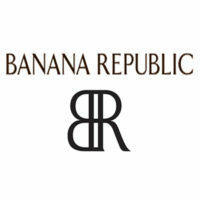 Go to the web link below to get a printable application for Banana Republic.